Croydon is one of London’s 32 boroughs that deliver a range of responsibilities including education, social services, housing, libraries, planning, waste collection, licensing, most of London’s roads, parking enforcement, environmental services, including consumer protection, and many arts and leisure services. That’s a full list of areas our council is responsible for. You would think that would keep 70 councillors busy. You would think they might want to get that right before they branch out into new services. Croydon Council however is more ‘ambitious’ than that, and are keen to expand despite problems in many of their core services. If you asked your boss to take on extra responsibility when you’re not getting your core job done right, you would expect them to say no. Croydon’s majority Labour group got past that problem by never asking their boss, Croydon’s voters. 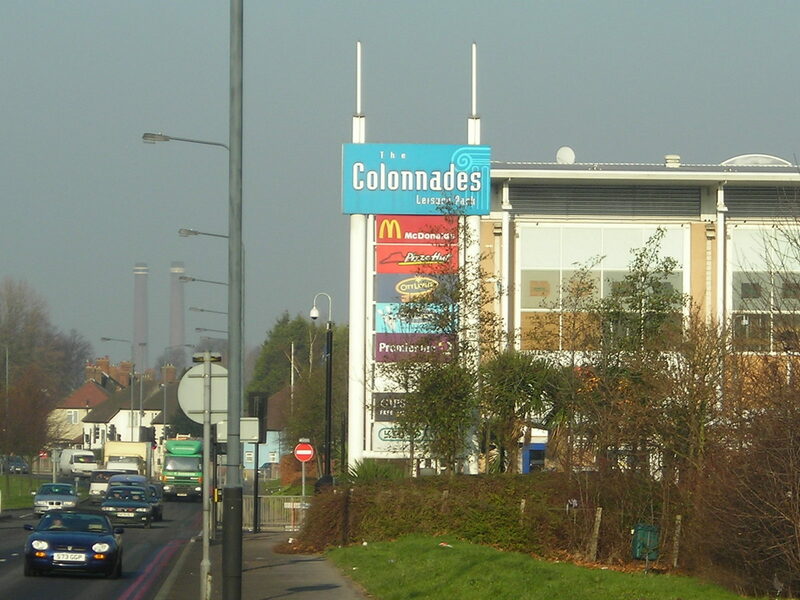 In recent months Croydon Council has purchased the freehold to the Croydon Park Hotel and Colonnades Retail Park on the Purley way. Over £80 million was spent on these two purchases. The deals were financed by the council borrowing from the Public Works Loans Board. This is a government scheme that provides loans to public bodies like councils. £80 million represents about half of the £167.4 million of Council Tax raised by Croydon 2018/19. The board lends money at reduced rates, and the council expects to make £1 million a year from the Croydon Park Hotel and £1.4 million from the Colonnades. This sounds laudable, but what about the risks and accountability for public funds? Both purchases were made without the opportunity for discussion by councillors. Whilst the Labour party has a majority on Croydon Council and no doubt the cabinet knew, how can it be right that £80 million of public funds was spent without any public scrutiny or even awareness from most of our 70 elected representatives? Surely councillors and frankly the public should have the opportunity to discuss such a large investments policy, even if specific details of investments need to be kept confidential for commercial reasons? Croydon council has just added £80 million in debt to its balance sheet. That’s £620 for every one of Croydon’s 129,000 homes, and is part of the £1.2 billion owed by Croydon Council. When was your family asked if they wanted to be an extra £600 in debt? If the investments provide the income the council wants, there is some justification for them, however with £2.4 million benefits from £80 million of borrowing, only a 3% change in margins would find council tax payers lumbered with costs to service the debt. New Addington Leisure Centre £8 million over budget. Fairfield Halls £11 million over budget. Surrey Street £1.1 million investment that resulted in fewer traders. Brick by Brick uniting communities in anger and at the time of writing still yet to have any houses occupied, years in. The council simply does not do property well. Yet somehow we are expected to believe moving into a car based retail site, at a time when shopping is moving online, with fewer people in London owning cars, and purchasing the freehold to an ageing hotel that recently made a £20k loss, is somehow good business. The most worrying part of the government (this time in the form of the council) purchasing commercial property is the conflict of interest. Croydon council approves planning licencing decisions for hotels and retail sites. They approve transport changes to and from them. They wield power, but will they do so fairly? What happens if say a new hotel requests planning permission for Croydon. Will the council approve it, if it take business away from the Croydon Park Hotel? What if a hotel wants a conference centre in Croydon. Local residents have legitimate concerns about the environmental impact. Does the council approve it, just because it means more people will occupy rooms at the nearby Croydon Park Hotel? If an adult entertainment centre wants to open in the Colonnades next to some shops popular with young children. Does the council approve any licences knowing they income will help the flagging centre they own? A new shopping centre wants to open on the A235 in South Croydon. Some minor transport changes are needed. Does Croydon Council approve them if the new centre could take trade from their centre The Colonnades? Perhaps council officials and Councillors will be perfect at their roles and never allow a conflict of interest to affect them. We can only hope they will act beyond reproach. Sometimes however the mere impression of a conflict causes problems. The impression may drive business away from the borough. Would we not be better avoiding this and simply have the council stay away from commercial activity? Any organisation has only a limited pool of highly productive talent. Croydon Council will have many excellent staff, but few who can cross organisation boundaries, think-up new ideas, and truly add value. Anyone in management wants to get their brightest talent focused on the organisations biggest challenges. I want those brightest employees and councillors adding value on the core services the council provides. With new commercial purchases focus may move to these new ‘exciting’ ventures, and talent will be looking at other new opportunities. Instead imagine if the best and the brightest were brought into the ‘Inadequate’ (as judges by Ofsted) Children’s Services department. Continuing to be inadequate for 18 months, hurts those most venerable in our borough. Shouldn’t the best people be brought in to solve this? The same department has many services that could help with the epidemic of knife crime in Croydon. Wouldn’t it be great if the brightest staff in the council were focused on saving young lives rather than propping up hotels? Away from Children’s Services in 2018 Croydon undertook significant changes to its refuge collection service. You would be hard pushed to find a Croydon resident without a story about the problems with their bins being collected. Could someone be moved from the ‘shopping investments desk’ to solving the problem of bins not being collected? Croydon Council rightly has concerns about costs that are rising more quickly that income. The rising costs could be controlled if they avoided paying for on stage defecations, (yes you read that right) and stopped being some of the highest paid councillors in London. As business rate income moves from central government to local, the council could stop its war on cars, it could stop help rather than hinder the Westfield and Selhurst Park developments. Instead of spending taxpayers’ money on their photo opportunities at Boxpark they could stop closing Croydon car parks to give other traders a chance to bring in business. Any business can cut costs, the trick is to balance cost cutting, whilst retaining customers. More trainees further automation, pooling services, are all ways to retain existing services levels whilst reducing costs. Imagine the best people, if they want to be entrepreneurial, focused on this rather than new business ideas? The savings could easily outweigh the £2.4 million in new income. The purchases have been made, the debt is on the books, and we can but hope that council taxpayers won’t be financially punished for these purchases. The conflict of interests are a real concern and the council should act now to remove / reduce even the impression of these. A resale of properties may not be possible, but arm’s length ownership is. The best minds in the council should be focused on getting the delivery of basic right for those most vulnerable who need them in Croydon. Not pretending they missed their vocation as hotel or retail magnates. I would rather see no further purchases of commercial property made by the council, others will differ, but surely we can all agree any future purchases must be subject to democratic scrutiny. The council may have found it has dug itself into a hole with these purchases now is the time to cease and desist from further purchases and focus on getting is core services right, delivered for the right price, and get out of the way of Croydon’s entrepreneurs so they can deliver new exciting commercial ideas.